In yet another challenge to the Muslim Women (Protection of Rights on Marriage) Ordinance, better known as the Triple Talaq Ordinance, two social workers from Uttar Pradesh have moved the Supreme Court praying that it be set aside for being unconstitutional and ultra-vires of the Fundamental Right to equality, practice religion of choice, protection of life and personal liberty. Sayyed Farooq and Mohd Siddiq, social workers from Faizabad, Uttar Pradesh, have, in their petition moved through advocates Nikhil Jain and Farhan Khan, complained of “grave arbitrariness and whimsical step” taken by the government by criminalising utterance of ‘talaq’, hereby creating a criminal offence when the Supreme Court has already struck down triple talaq. 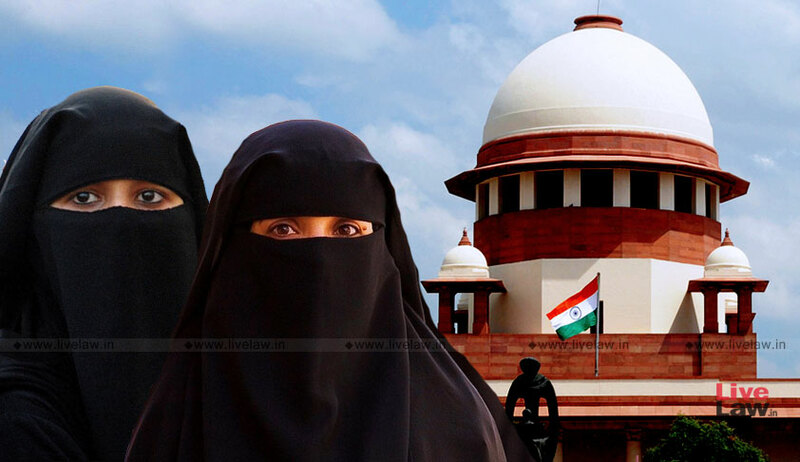 In August 2017, the Supreme Court had struck down the practice of triple talaq as being unconstitutional in case titled Shayara Bano vs Union of India. On September 19, the President gave assent to the Triple Talaq Ordinance. The petitioners said the Ordinance fails to satisfy Article 123 of the Constitution which enables the President to promulgate an Ordinance when Parliament is not in session. They said this power is to be exercised only in instances requiring immediate attention but in the instant case, there was no need for immediate action when the Bill was pending before the Rajya Sabha as after the Supreme Court’s verdict, Indian Muslim men could no longer divorce their wives by way of a talaq having the effect of instantaneous or irrevocable divorce. They said the Centre has failed to provide any quantifiable data to support the presumption that the practice of triple talaq is continuing despite it being struck down by the apex court. “The impugned Ordinance has defined Talaq as Talaq-e-biddat or any other form of talaq having the effect of instantaneous and irrevocable divorce and thus made its pronunciation a punishable offence thereby forcing couples towards matrimonial disharmony and unnecessary indulgence with the criminal justice system whereby a complaint even by a third party or a fuming spouse can lead to several levels of involvement of state machinery, even if it is compounded later,” it said. The petition said the Ordinance fails to appreciate that Muslim marriage is part of the personal law and is in the nature of a contract besides objecting to Section 3 read with Section 4 of the Ordinance which makes a pronouncement of “certain ineffective words” a punishable offence of upto 3 years. The pronouncement has no legal sanctity and yet a punishment has been imposed, which is highly arbitrary. It is to be noted that the Delhi High Court recently dismissed a similar challenge to the Triple Talaq Ordinance. The Bombay High Court on Monday dismissed one such petition. A Kerala-based Muslim organisation Samastha Kerala Jamiyyathul Ulama has also challenged the Ordinance and the petition is pending before the apex court.